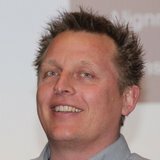 Tomas Eilsø is an independent consultant and agile coach. He spend most of his time helping large organisations getting the full benefits of agile, using different scaling approaches such as the scaled agile framework. Like Jeff Sutherland got inspired to create Scrum from his experience with high performance teams as a fighter pilot, Tomas also flew as a F-16 fighter pilot for 6 years. Tomas have also started several successful technology startups, one of which currently builds the next generation combat flight simulators for the Danish Airforce - of course using agile.